ASSOS Chamois Crème developed around the turn of the millennium (after intensive research and multiple prototypes), there’s been an air of mystery surrounding this ultra-luxe cycling essential. 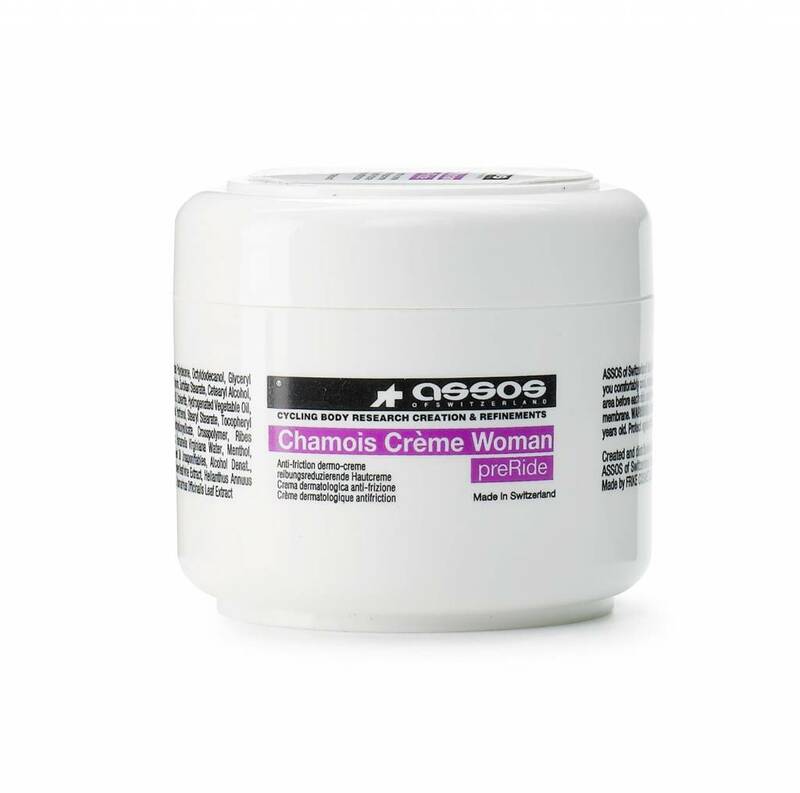 Now in a women’s-exclusive version, the ASSOS Chamois Crème Woman relies on natural extracts to protect your skin from irritation due to friction and the build-up of bacteria. With 10,000s of pots sold each year, this female-specific sensitive cream for cycling also rehydrates and replenishes the skin in this sensitive area, meaning a reduced chance of rubbing and inflammation from hours spent in the saddle. By eliminating the risk of saddle sores and discomfort while road riding, mountain biking or gravel grinding, our ASSOS Chamois Créme Woman ensures that at least one comfort factor won’t suffer whilst riding—we’ll leave the other comfort elements of pace and power in your hands.